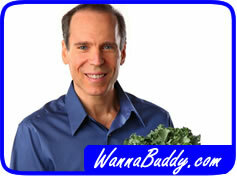 Dr. Joel Fuhrman is a regular on the Dr. Oz Show. He is an expert on nutrition and weight loss, with numerous books (and diets) to his credit. His latest diet update promises to let you lose 10 pounds in 7 days, without feeling hungry or exercising! This 7 Day Crash Diet is the first of its kind to pass muster with Dr. Oz. Dr. Fuhrman believes that our daily diet should have three characteristics. First, is should have a high level on micronutrients (think vitamins and minerals) per calorie. That means avoiding “empty calories” that taste delicious but don’t contribute to your nutrition. Second, our food should contain plenty of macronutrients (these are complex carbs, proteins, and healthy fats) without too many calories. Again, avoiding foods with little nutritive value and concentrating on getting what you need without extra calories. Finally, our food should avoid or limit “toxic” substances. These are substances that can be harmful to us, if eaten in quantity, like salt, trans-fats or nitrates. In his book, “Eat To Live” Dr. Fuhrman proposes a new way of thinking about dieting. Following his “90/10” rule, about 90% of our plate should be covered by vegetables, especially the dark green, leafy kind like spinach. Only 10% of our plate should have meat and dairy. This represents quite a shift from the typical American dinner plate. Another feature of the Joel Fuhrman diet approach is the focus on antioxidants from berries. Dr. Fuhrman recommends eating a lot of blueberries, strawberries and raspberries. His breakfast menus feature oatmeal (great for fiber) topped with the berries of your choice. Dr. Fuhrman is also a fan of beans. Beans have a lot of fiber and make you feel full quickly. They also suppress insulin secretion, which can help avoid those nasty insulin spikes that can drive fat cell production and make you hungry again a half hour after you eat. Beans can also substitute for meat, or at least stretch out ground meat to reduce the overall contribution of meat to your diet. By following the Joel Fuhrman diet, your food priorities change dramatically. Now, food is evaluated based on its nutrition density, the nutritive value per calorie consumed. By eating healthy, nutritious foods that are relatively low in calories, you can lose weight and enjoy much better health. 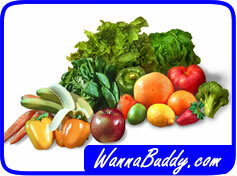 Grab yourself a diet buddy and give it a try!